To see where the Earth's climate is headed, we have to see where it's been -- and a new San Francisco State University study could offer a clearer picture. The study outlines a way to use a basic law of plant growth to improve estimates of historical temperature and rainfall from tree rings. The results could help answer one of the biggest questions facing climate scientists today. "There's a big question here, which is: How warm will it get?" said San Francisco State Assistant Professor of Earth & Climate Sciences Alexander Stine, the sole author of the study. "One way to get at this problem is to build a long record of temperatures in the Earth's past." The rings of a tree document how quickly that tree grew. In the hands of a skilled scientist that can be translated into information about the environment in which the tree grew. Such records are useful because they stretch thousands of years into the past -- far older than any direct measurements made by humans -- and because trees are usually abundant where people live. But when a tree's growth is threatened by other factors like poor soil quality, the record it holds of climate start to become messier. The new technique applies a simple principle for picking the trees that hold the most pristine record of climate from each moment in history: simply selecting those that were growing the best. "The assumption is that those trees which are most successful in that year are more likely to be responding to large-scale climate," Stine explained. 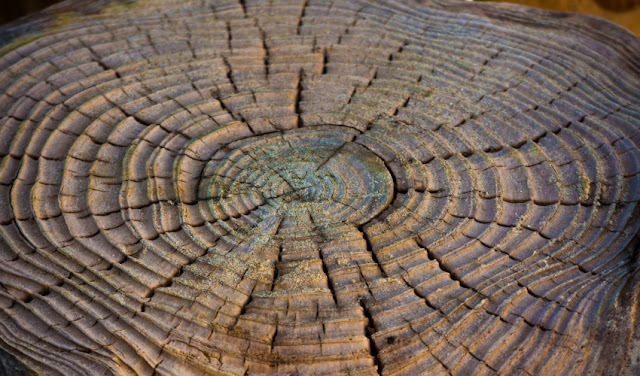 Testing that assumption on a worldwide database of tree-ring measurements includes studies by over 300 researchers around the world, Stine showed that he could get more precise measurements of past temperature and precipitation than current methods. Depending on how the math was applied, that could mean anywhere from a single-digit percent improvement to an estimate that's 82 percent more accurate than one created using other methods. Stine reported the results earlier this month in the journal Paleoceanography and Paleoclimatology. The key to improving those estimates was applying "Liebig's Law of the Minimum," the widely accepted idea that a plant's growth is tied to the most limiting factor in its environment. For instance, a slight dip in rainfall won't affect a tree's growth if it's already being stunted by an intense cold snap. "It's a basic idea in ecology that's old and well-understood," said Stine. It's the way that he applied it that's novel. Because of Leibig's law, he realized, a tree growing especially well is not likely to be held back by local factors like harmful insects, meaning that measurements of the tree's growth will be tightly linked to the climate it's experiencing. Stine had presented the idea and tested it at smaller scales in the past, but this is the first demonstration that the method can improve past climate estimates for regions all over the world. There's also reason to believe that the technique can be fine-tuned further: Stine says more work is needed to figure out the best way to apply the math to see the biggest advances. And the stakes for making those improvements are high. "We have very short instrumental temperature and rainfall records," said Stine. "And we're living in a world where our theory tells us these things should be changing rapidly."